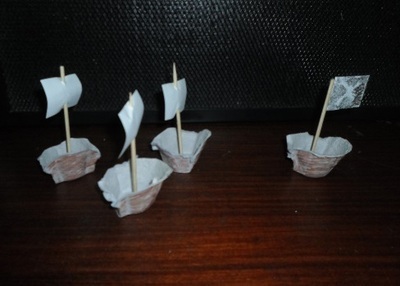 Recycle an egg box to make a pirate ship and a fleet of pursuer ships. 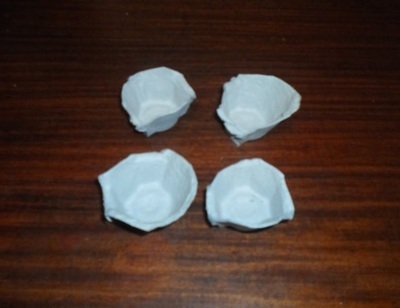 Cut out a few sections from the egg carton. 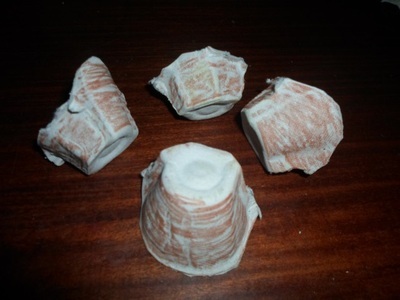 Paint or colour them brown. 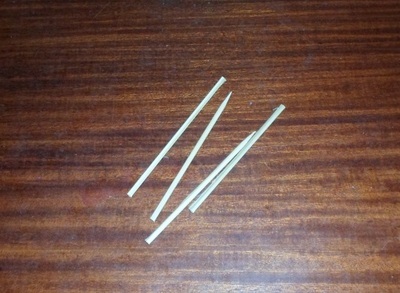 Cut sections from the skewers that are just bigger than thirds. 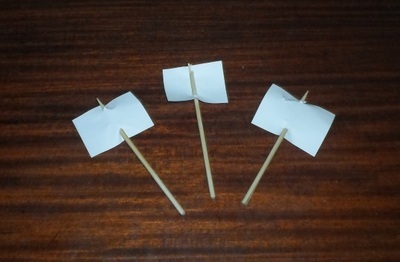 Cut out some rectangles of paper and pierce all but one with skewers so that they become masts and sails for the ships. 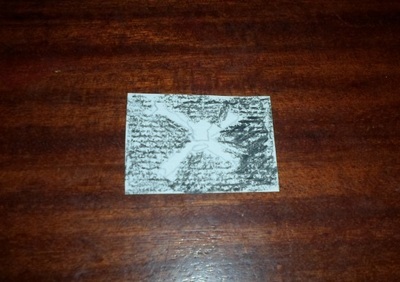 On the last piece of paper, draw the skull and crossbones of the Jolly Rodger. 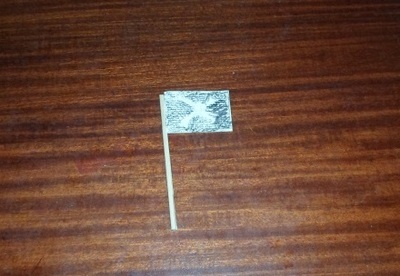 Tape this flag to the top of the last skewer piece. 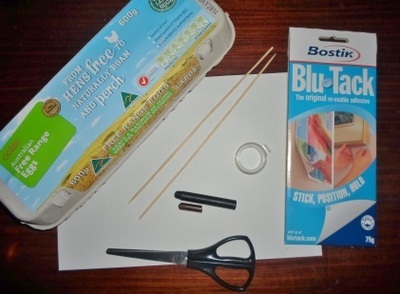 Stick each skewer into ball of Blu Tack and put these into the bottom of the egg carton pieces.